FoodTech Denmark is the largest industry trade fair in Denmark and throughout Northern Europe. This 3-day tradeshow held at the MCH Messecenter Herning showcased technologies, and expert knowledge on how to optimize new and existing processing lines. Russell Finex was located at Stand C04:39 showing industry professionals separation equipment for the food industry. 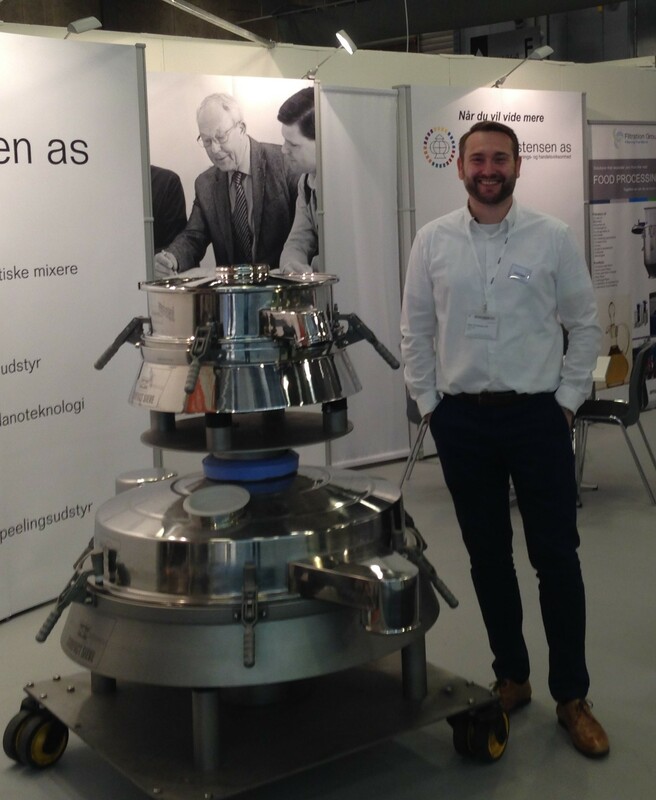 On display was the Russell Compact Sieve®, a vibratory sieve for check-screening food ingredients to improve and ensure overall quality. With the ability to fit neatly into existing processing lines, this sieve eliminates contamination from both powders and liquid slurries, whilst also protecting operator health and safety with a totally enclosed screening system. Contact us to find out more about the innovative range of sieving and filtration solutions available to improve your processing requirements.